One Fat Frog Restaurant Equipment has a large selection of something every restaurant needs: reach-in coolers and freezers. With huge truckloads of used commercial restaurant equipment coming in every week, used coolers and freezers is something One Fat Frog Restaurant Equipment sees a lot of. Whether you’re a bakery, food truck, pizzeria, etc., you are going to need a cooler or freezer. Here’s a look at some of the maintenance requirements on a cooler or freezer. Each week, thoroughly clean cabinets using simple soap and water. Avoid using caustic cleaning material. Clean condenser coils regularly – the exact frequency of the cleanings will depend on the surroundings. In some cases, weekly cleanings will be necessary. Regularly check the gaskets to ensure proper seal forms around the door. Specifying a unit with heavy-duty casters makes it easier for staff to move it and clean behind. 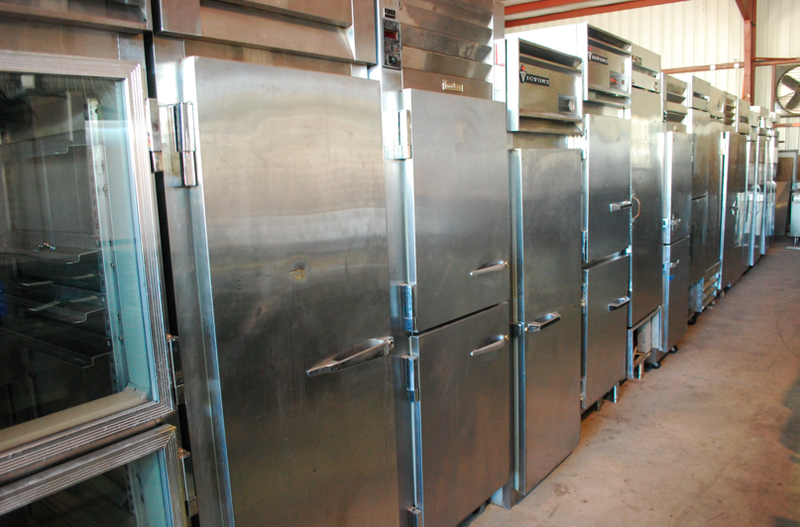 One Fat Frog Restaurant Equipment welcomes quick cash deals and package deals towards the entire stock of used commercial restaurant equipment – including used reach-in coolers and reach-in freezers. One Fat Frog Restaurant Equipment also has an easy financing plan – no matter what shape your credit is in, One Fat Frog Restaurant Equipment can get you approved! People drive from all over the east coast to shop at One Fat Frog Restaurant Equipment! No matter where you are located in GA or FL, One Fat Frog Restaurant Equipment is definitely worth the drive!